Parents become experts at planning – scheduling playdates, the menu and family activities. Unfortunately, one of the most important things we can do to protect our family is often overlooked: an estate plan. 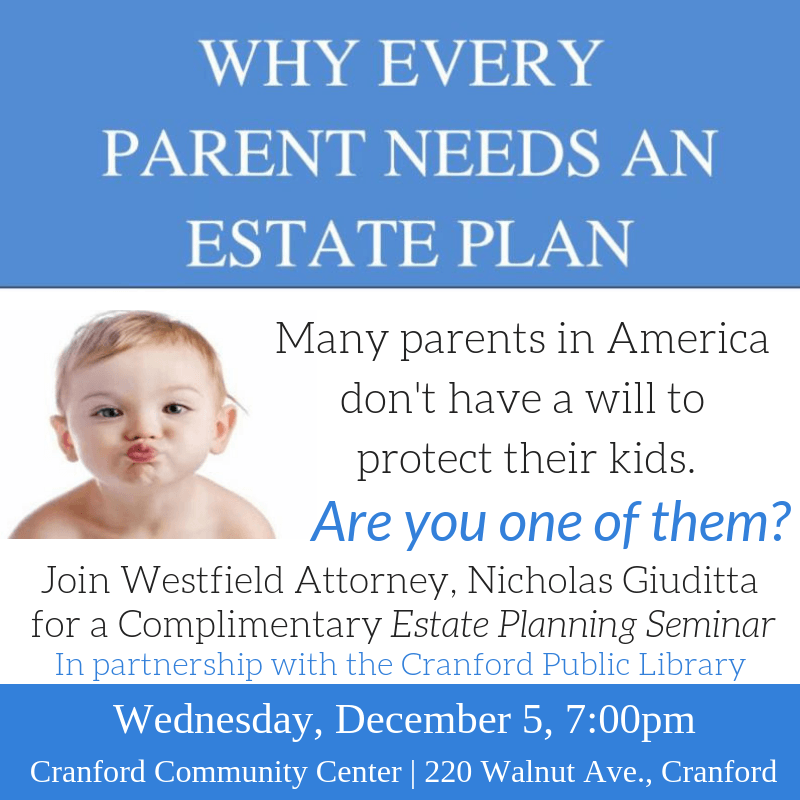 Join Westfield Attorney Nicholas Giuditta as he partners with the Cranford Public Library to present important information about setting up an estate plan and how you can use wills and trusts to protect and provide for your family. Rsvp gina@cranford.com. My name is Nick Giuditta. I represent individuals seeking advice in estate and tax planning, probate law , guardianship and related elder law matters. I have practiced law for more than 28 years and established a law firm in 2000 in Cranford and later moved my practice to Westfield. I regularly represent executors of estates, trustees and other fiduciaries either as an advocate in court or in connection with the administration of estates and trusts. I am commonly appointed by area judges to serve as administrator of estates and as guardian or counsel for those in need of such assistance. I provide seminars to fellow attorneys in my capacity as co-chair of the Union County Bar Association’s Elder Law Committee. I also speak to various community based groups on the significance of proper estate planning including information about Wills, Powers of Attorney and Advance Directives. We promptly reply to all phone calls and e-mails, usually within the same day. We serve clients throughout New Jersey from our Westfield location. We often can find ourselves in complicated situations, such as dealing with complex estate and tax issues, where we feel ill-equipped to make informed decisions. The longer you wait to properly plan, however, the fewer options you will have to avoid excessive taxation and secure the future of your beneficiaries. With proper planning and the help of a skilled Westfield estate lawyer, you can protect your family and your assets. Nicholas A. Giuditta III, Attorney at Law, provides trusted advice to clients for a variety of estate planning and elder law issues in New Jersey. We provide the quality services sometimes associated with a large law firm, but are able to do so in a more personal environment. This unique quality enables us to respond more effectively to our clients’ needs. If you have been named the executor of an estate, you may feel like a heavy weight has been put on your shoulders. You have a responsibility to fulfill the wishes of the deceased and act in accordance with the law. A knowledgeable probate lawyer can help you ensure estate administration is carried out as efficiently as possible. For those who have reached retirement age, attending to issues such as assisted living options, living wills and protecting your assets for your heirs can have even more urgency attached to them. 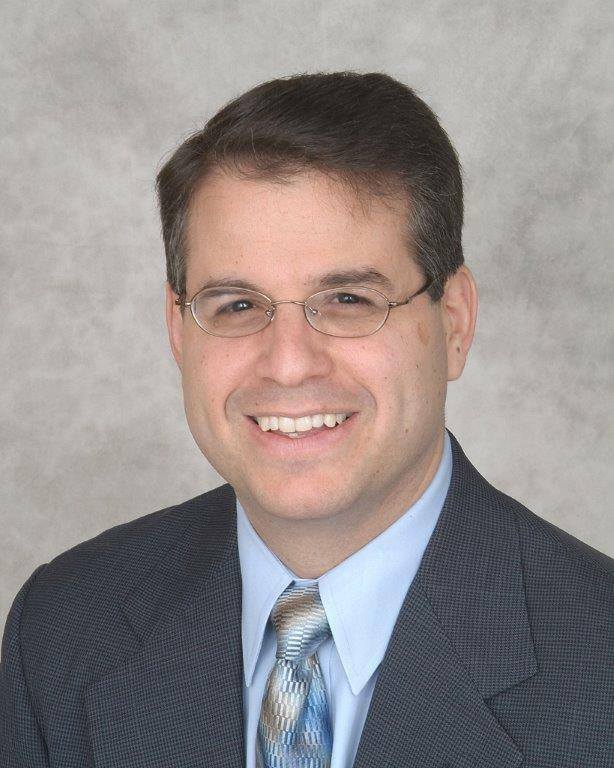 Our founding attorney, Nicholas Giuditta, is a skilled Westfield estate planning attorney with more than 28 years of experience. His goal is to provide honest and timely advice to each of our clients. He will meet one on one with you to understand your situation, explain your options and guide you through the legal process. To schedule an initial consultation for your estate law matter, please feel free to contact us by e-mail or phone at 908.232.2300. We promptly reply to all phone calls and e-mails, usually within the same day. We serve clients throughout New Jersey from our Westfield location.